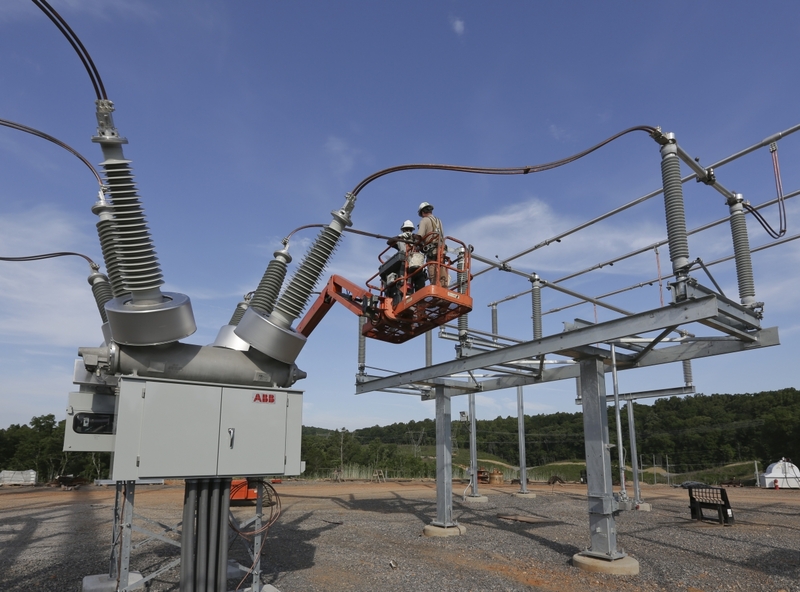 A new ORNL-developed method pinpoints electrical service areas across the southern United States most vulnerable to climate change and predicted population growth, which could inform decision makers about future substation needs. OAK RIDGE, Tenn., July 29, 2016 – Climate and energy scientists at the Department of Energy’s Oak Ridge National Laboratory have developed a new method to pinpoint which electrical service areas will be most vulnerable as populations grow and temperatures rise. “For the first time, we were able to apply data at a high enough resolution to be relevant,” said ORNL’s Melissa Allen, co-author of “Impacts of Climate Change on Sub-regional Electricity Demand and Distribution in the Southern United States,” published in Nature Energy. Allen and her team developed new algorithms that combine ORNL’s unique infrastructure and population datasets with high-resolution climate simulations run on the lab’s Titan supercomputer. The integrated approach identifies substations at the neighborhood level and determines their ability to handle additional demand based on predicted changes in climate and population. The new, high-resolution capability can explore the interconnections in complex systems such as critical infrastructure and weather and determine potential pathways to adapt to future global change. “These results can affect how future service areas are defined and where new substation capacity within the national grid may need to be located,” Allen said. The authors note the study could inform city leaders and utilities when planning for adjustments or upgrades to existing infrastructure. The analysis also helps decision makers prepare resources needed for population movement in response to future extreme weather events, particularly in the Gulf Coast region. After a natural disaster, such as a high intensity hurricane, tens of thousands could be displaced to areas ill-equipped to handle the sudden influx of people for an unknown period of time. For this analysis, the research team examined impacts of population and temperature changes through 2050 in Alabama, Arkansas, Florida, Georgia, Louisiana, Mississippi, Oklahoma, Tennessee and Texas, but Allen said that the method could be applied to other regions. Co-authors of the study were ORNL’s Mohammed Olama and Joshua Fu and Steven Fernandez from the University of Tennessee. Fu has a joint appointment at ORNL. This research was supported by DOE’s Office of Science. Additional power data for this project was provided by the Tennessee Valley Authority and the Electric Reliability Council of Texas. The Titan supercomputer is part of the Oak Ridge Leadership Computing Facility, which is a DOE Office of Science User Facility. UT-Battelle manages ORNL for the DOE's Office of Science. The Office of Science is the single largest supporter of basic research in the physical sciences in the United States, and is working to address some of the most pressing challenges of our time. For more information, please visit http://science.energy.gov.